Giggle Wiggle is the twisting, turning, race to the top game! 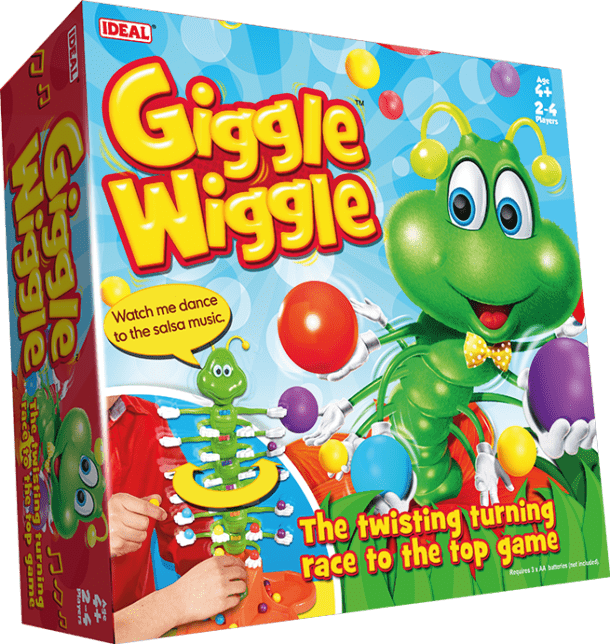 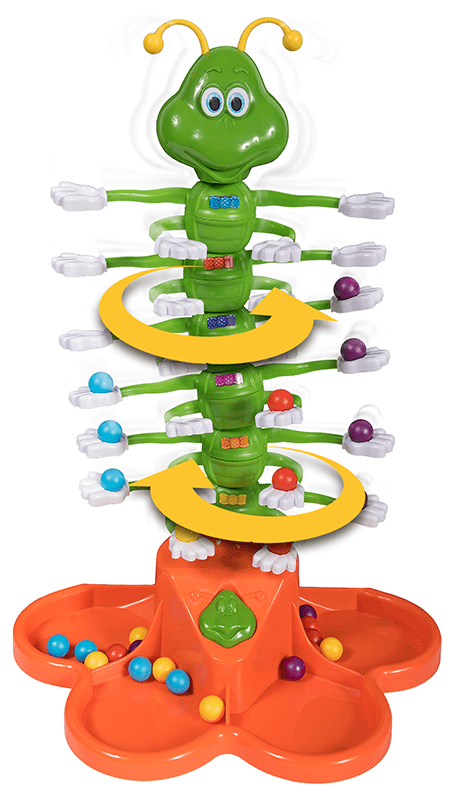 Starting from the bottom, race to balance the coloured balls on Giggle Wiggle’s hands, as he twists and turns, dancing to the music. 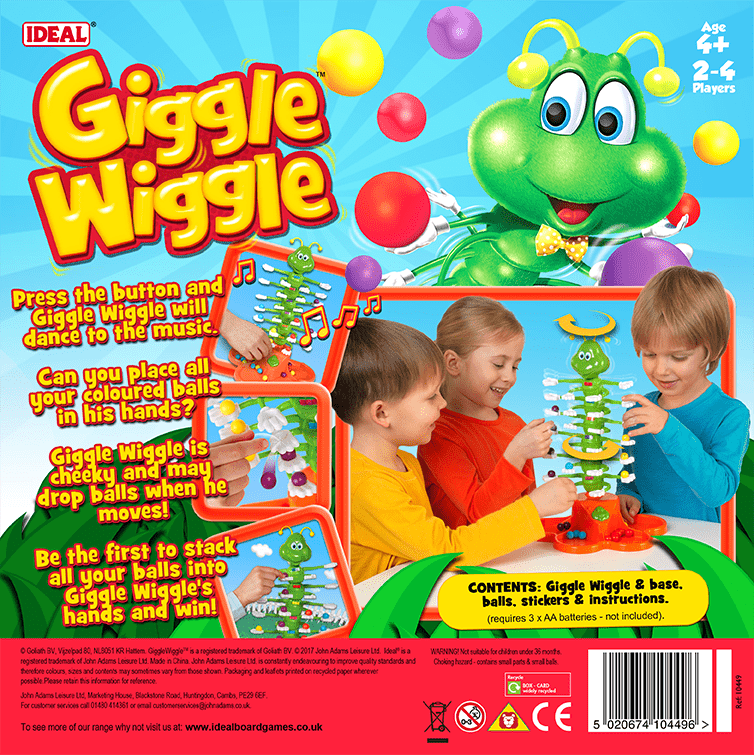 But be careful, if the balls fall from Giggle Wiggle’s hands, you’ll have to start again!